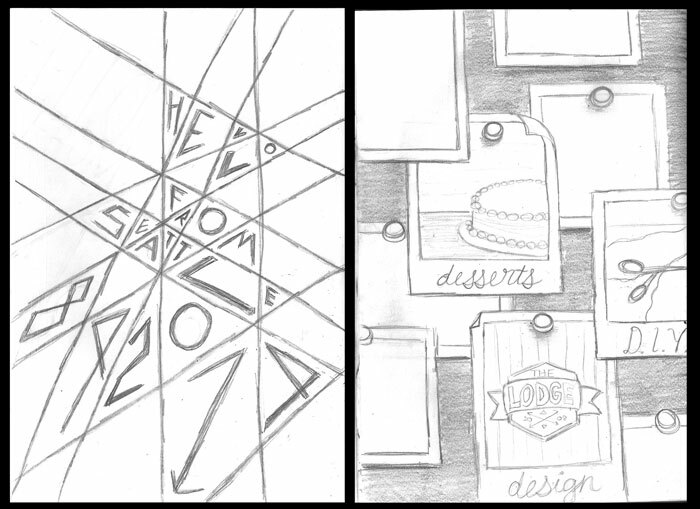 12 weeks of sketching every day, and we’ve completely lost our minds. Our creativity, however, has definitely improved with another strong week. It won’t be long until our sketching experiment has come to and end, but until then, enjoy this week’s roundup! 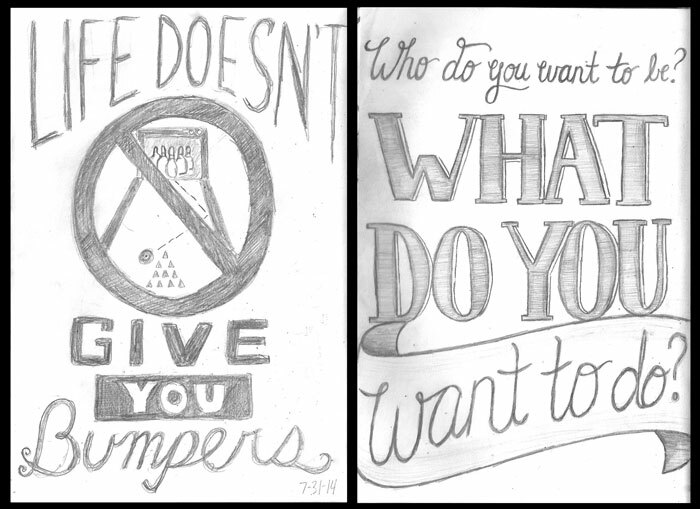 Day 78: After watching Richard Linklater’s incredible new film, Boyhood, both Sean and Stef are inspired to illustrate a meaningful quote from the movie. If you haven’t seen it already, be sure to check it out. It’s amazing. Day 79: Sean’s good friend takes the stage with the first ever guest sketch on our blog. 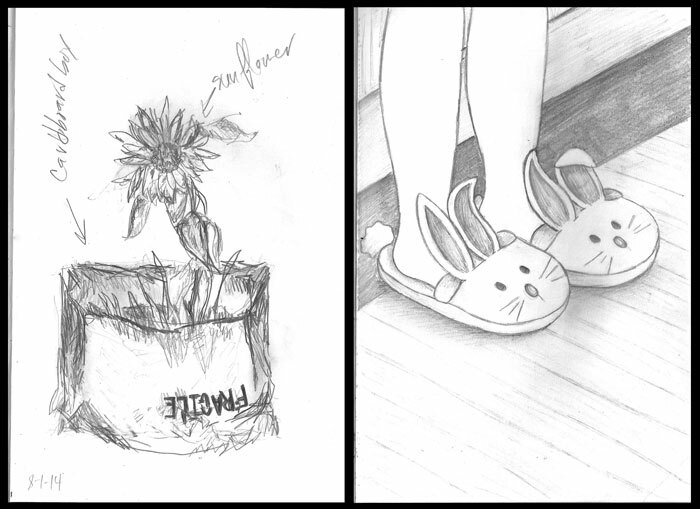 Her rough, yet detailed sketch of a sunflower definitely shows some contrast to Stef’s soft and fuzzy bunny slippers. 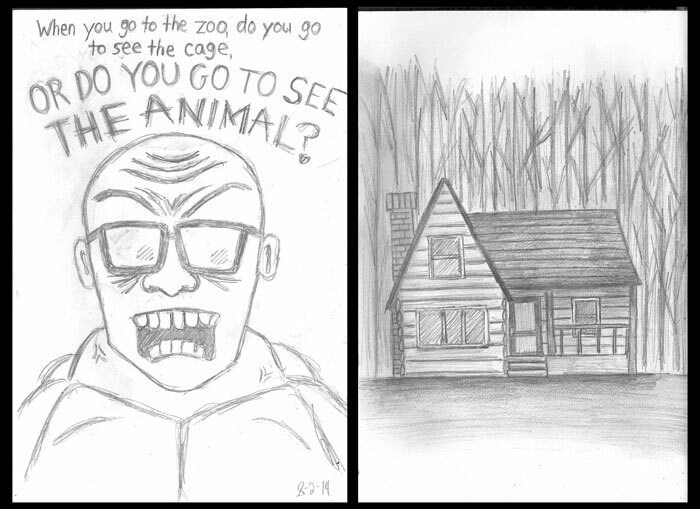 Day 80: Sean draws Anthony Fantano, the internet’s busiest music nerd, as a raging muscle-bound freak after watching a video of him dropping the quote above his shaved head, while Stef draws a beautifully illustrated serene cabin in the woods. 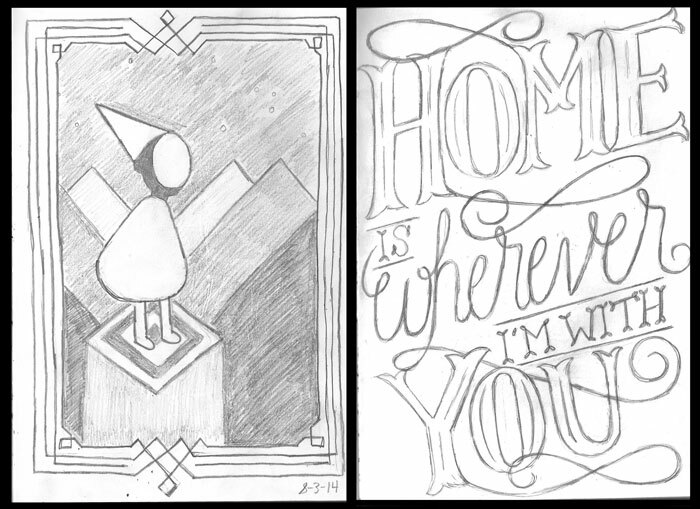 Day 81: Sean captures a starry scene from a new tablet game Monument Valley, while Stef shows off perhaps her favorite typography sketch so far, complete with all the swashes you could need. Day 82: Stef spends the majority of her day on Pinterest, so it’s only natural that she draws a her favorite things pinned onto a wall. Sean, on the other hand, creates a pattern based on the Zune logo and incorporates the message found on the back of each of them. 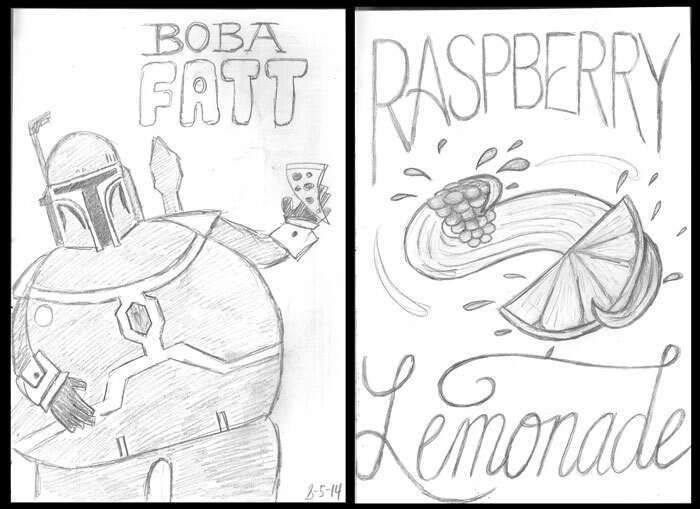 Day 83: Stef can’t get enough of her summertime beverages with this delicious drink that she took on a picnic, Sean’s sketch of Boba Fatt, can’t get enough…..pizza! Day 84: ***Theme: HATS! 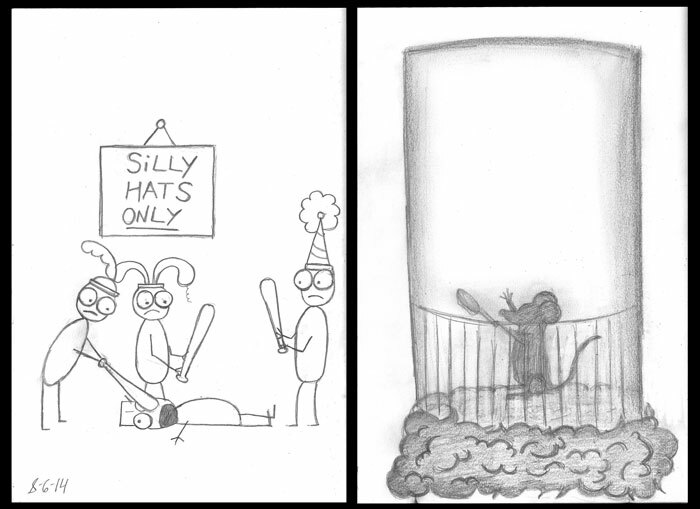 *** Sean keeps his sketches silly with a scene from Don Hertzfeldt’s Rejected. There’s no shortage of silly hats here, that’s for sure. Stef, on the other hand, puts some attention to what’s underneath the hat with a sketch she cooks up based on the film Ratatouille. We’ll try to hold our sanity together to upload next week, but until then, check back for another roundup of sketches sometime next week.